La Vida Goes Global- Sales in 40 countries world wide! 2016 proved to be La Vida’s best year yet, generating sales from clients in over 40 different countries worldwide. Our specialist consultants, based in our UK head office, processed over 10,000 enquiries for the various golden visa programmes, providing our clients with initial free advice about the residency and citizenship options available. We also saw our network of partners grow in 2016 and La Vida now work with over 30 key partners throughout Europe, USA and the Caribbean; including real estate developers and legal firms that help support our clients with their investments and visa applications. Our web presence remains stronger than ever through our main domain www.goldenvisas.com and is constantly growing as La Vida invests heavily in advertising and marketing. In 2016, La Vida’s adverts were seen over 40 million times and our content and programme advice was viewed by over half a million readers. 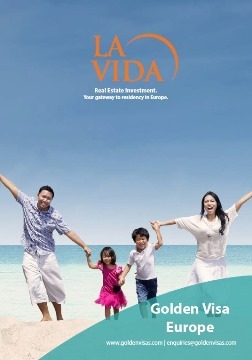 La Vida offers free comprehensive and balanced advice to clients on a selection of residency and citizenship programmes via real estate investment. We have built our real estate agency presence in Europe over the last 12 years and our property selection now stretches across five countries. The Portuguese Golden visa scheme remains one of the firm favourites with our investors due to its flexibility and strong property market. Please contact our team today for a free consultation on which programme may be best for you. ← Portugal’s Golden Visa Scheme -Best Year to Date.